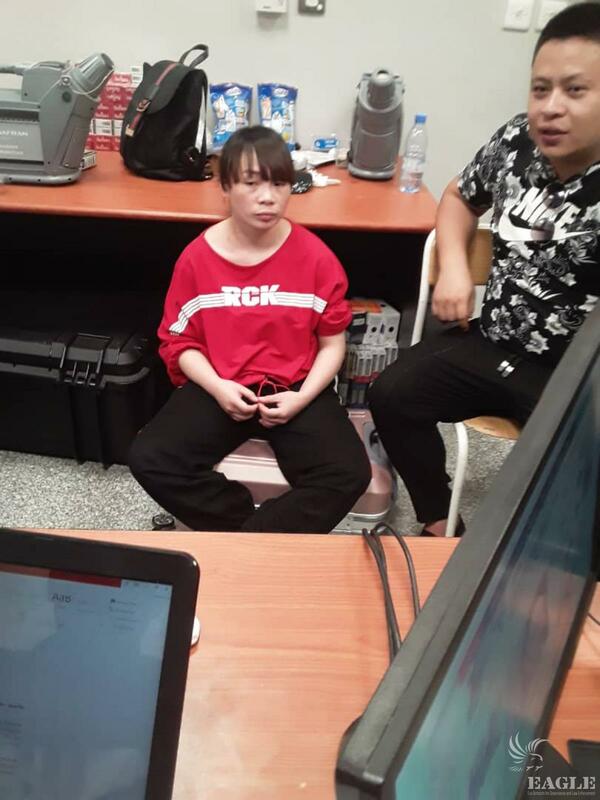 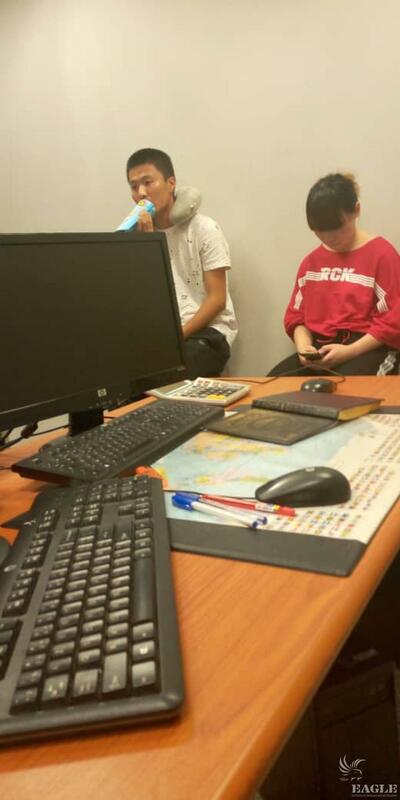 A Chinese arrested at the airport after the CAAT Unit detected ivory in her suitcase. 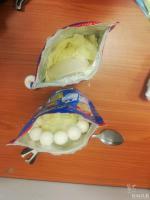 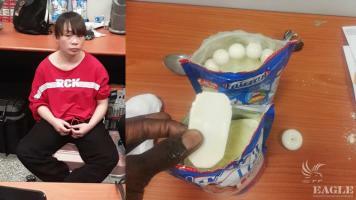 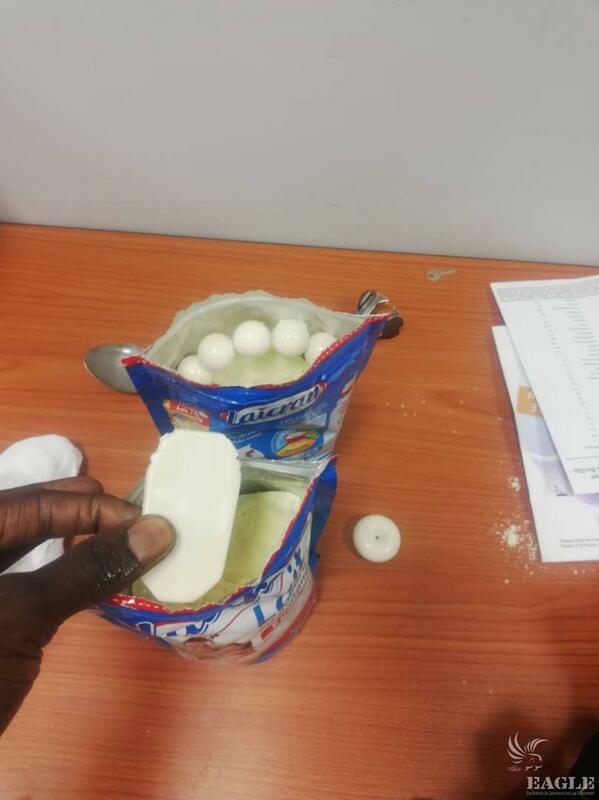 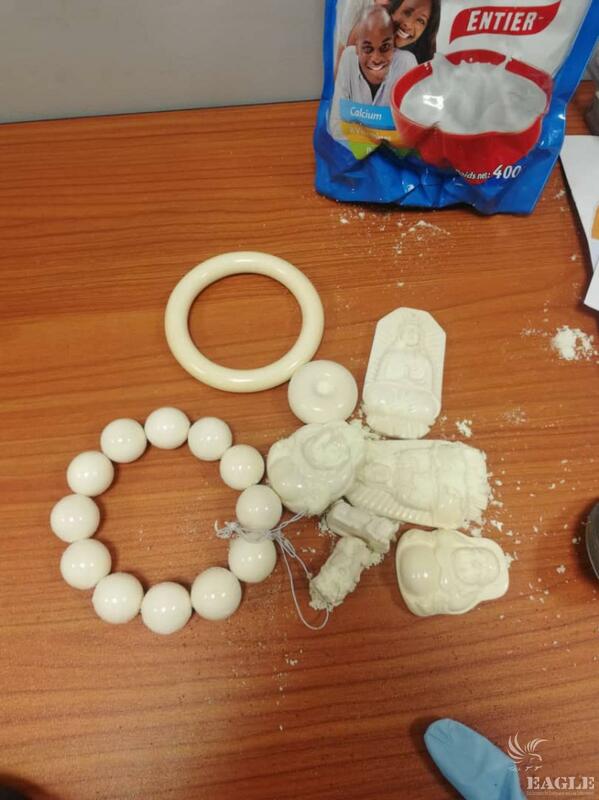 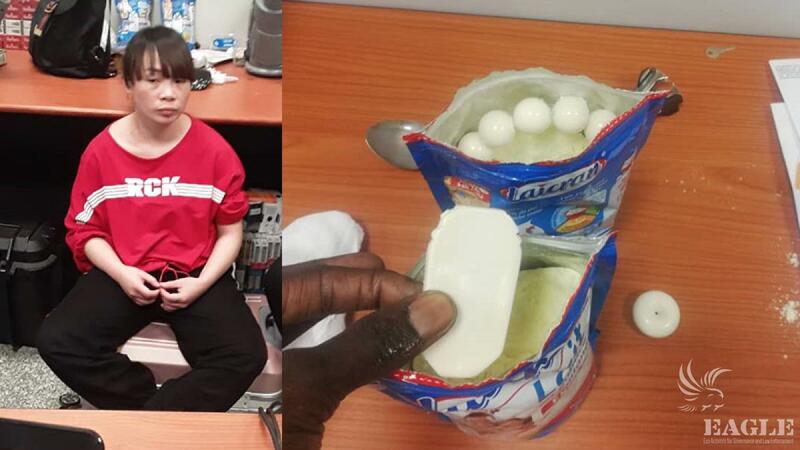 She concealed the contraband, consisting of 6 statues, 2 bracelets and a pendant, inside packets with milk powder, which were hidden in between of 20 illegally exported cigarette cartons. 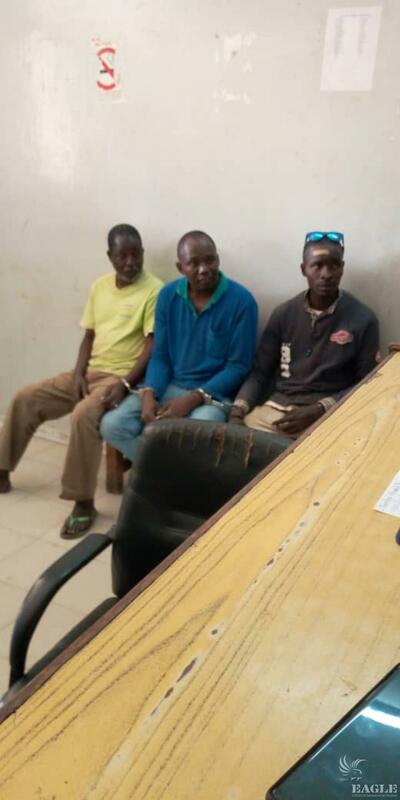 The trafficker, who worked as a shopkeeper in Dakar, remains in jail awaiting trial. 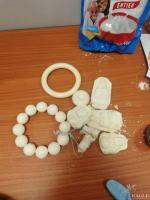 She cooperated on identification the traffickers, who traded ivory with her. 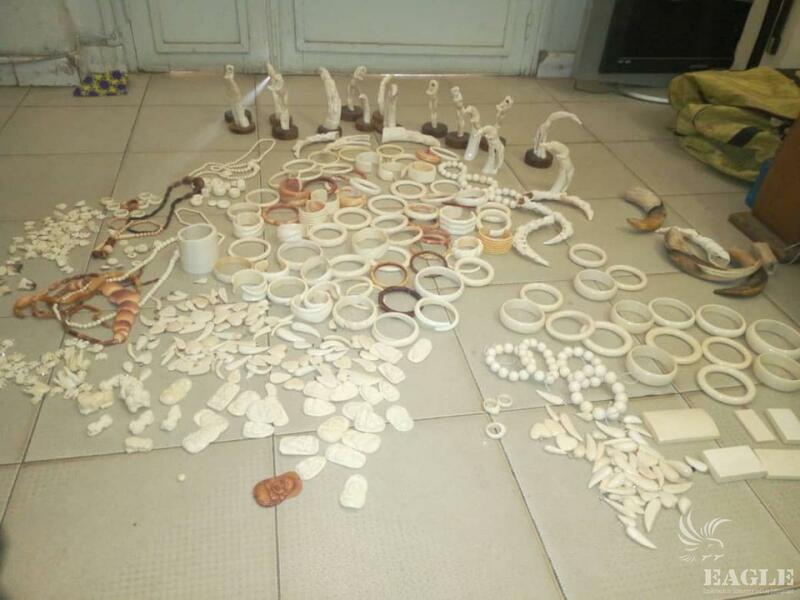 After three days of intense nonstop investigation the 3 traffickers were captured and arrested, including a repeat offender, who was already arrested for ivory trafficking in 2017 and sentenced to three months in jail. It is a clear proof that stronger sentences, creating better deterrent, are needed. 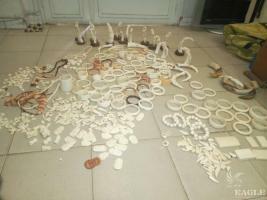 391 pieces of carved and fresh ivory were found during the house search.